We focused on histological and immunohistochemical characteristics of ependymoma (EPN) with molecular profiles to develop more reproducible criteria of the diagnosis. 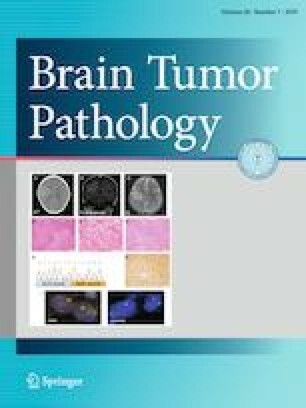 Three expert neuropathologists reviewed the pathology of 130 samples from the Japan Pediatric Molecular Neuro-Oncology Group study. Confirmed cases were assessed for histology, surrogate markers, molecular subgrouping, and survival data. We reached a consensus regarding the diagnosis of EPNs in 100% of spinal cord tumors and 93% of posterior fossa (PF) tumors that had been diagnosed as EPNs by local pathologists, whereas we reached a consensus regarding only 77% of the local diagnosis of supratentorial (ST) EPNs. Among the PF-EPNs, most of anaplastic ependymomas (AEPNs) were defined as EPN-A by methylation profiling, which was significantly correlated with the subgroup assignment. Regarding prognosis, the overall survival of patients with PF-EPN was significantly better than that of patients with PF AEPN (p = 0.01). Histologically, all ependymoma, RELA fusion-positive (EPN-RELA) qualified as Grade III. Both L1 cell adhesion molecule and nuclear factor kappaB p65 antibodies showed good sensitivity for detecting EPN-RELA. This study indicated that the expert consensus pathological diagnosis could correlate well with the molecular classifications in EPNs. ST EPNs should be diagnosed more carefully by histological and molecular analyses. We thank the following individuals for their comments regarding pathological diagnosis: Takashi Komori, Makoto Shibuya, Hiroyoshi Suzuki, and Shinya Tanaka. The authors also thank Tomio Honma and Toshinori Nagai for their excellent technical assistance.